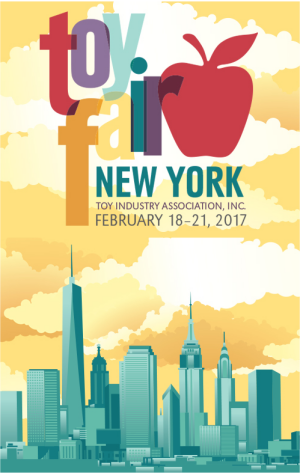 Toy Fair 2017: Yet Another Batch of Links! The International Toy Fair in New York wrapped up Tuesday, but there’s still tons of news to cover. Helping us in that regard is another batch of links to pertinent stories from around the web. Our friends at The 13th Dimension tell us all about what to expect from Diamond Select, Mezco, Funko, Super 7 and more, with tons of great photos, to boot! Comic Book Resources covers the toys based on the upcoming movie, Transformers:The Last Knight. The Fwoosh just as too many stories to mention. Visit their home page and bask in the Toy Fairyness. Newsday looks all over Toy Fair for the coolest toys, many of which we told you about first here in PopCult. The folks at Dread Central have photos of NECA’s Ash vs. Evil Dead hand puppets. The Nerdist offers up previews of some of Funko’s offerings, like Game of Thrones, Wonder Woman and Westworld. Fortune goes into detail about Mattel’s new holographic Barbie personal assistant. The world’s first Transgender doll, made by Tonner, is covered by The Guardian. Look for more Toy Fair coverage in the coming days and weeks.